Mansa Musa Keita, also called the Lion of Mali, was the 10th Mansa, or Emperor, of the Mali Empire in West Africa. He lived from 1280 to 1337. He was appointed as deputy to Abubakari Keita II who left to sail the Atlantic in search of his predecessor, and never returned. In 1312, Musa became ruler of the Mali Empire. 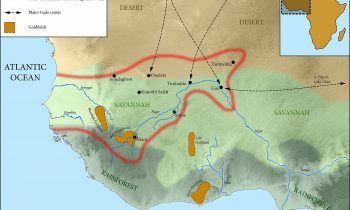 The Mali Empire under Mansa Musa stretched 2,000 miles east from the Atlantic Ocean to Lake Chad. It encompassed parts of modern day Gambia, Senegal, Mauritania, Guinea, Burkina Faso, Mali, Nigeria, Niger and Chad. Musa was the first Muslim ruler in West Africa to make the pilgrimage to Mecca. After years of preparation, Musa and his entourage of thousands of richly dressed servants and supporters began the journey to Mecca in 1324. He brought along a vast quantity of gold and distributed some of it during the journey. In Cairo, Musa gave out so much gold that the value of gold went down and took at least a decade to recover. When Musa returned to the capital Niani from Mecca, he brought scholars, architects and bureaucrats. Architect Ishaq El Teudjin designed numerous buildings including Madagou Palace, and the mosque in Timbuktu that still stands today. Timbuktu was the largest city in the Mali Empire. Along with Gao, it was annexed from the conquered kingdom of Songhai. Under Musa, the University of Sankore in Timbuktu was expanded. Adjusting for inflation, Mansa Musa is thought to have been worth about $400 billion. He made his money from trading in gold and ivory. 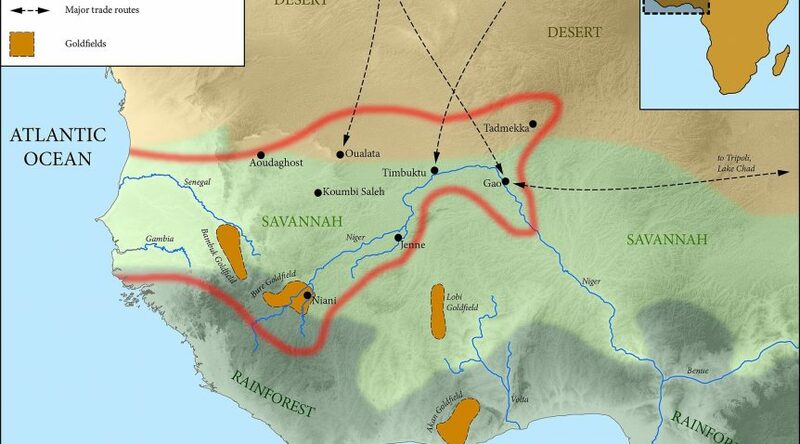 Incredibly, at the time, the Mali Empire controlled more than half of the world supply of salt and gold. Under Musa’s reign, the Empire of Mali experienced peace and prosperity. Upon his death in 1337, he was succeeded by his son, Maghan I.